Last month, we were able to take the kids to Disneyland again. Let me just say that if you have never been to a Disney Resort with small children, you need to! I am a kid at heart when it comes to Disney, but to see their little eyes light up when a character walks by, or gives them a hug, or even when you are just sitting on a ride. Their is nothing that compares. 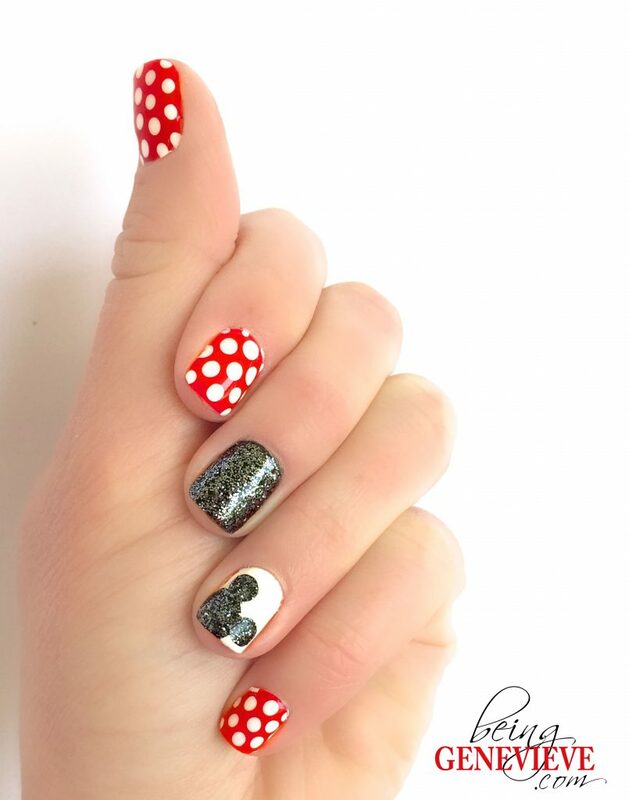 So in honor of Disneyland kicking off their diamond celebration this week, I thought it was appropriate to share a Disney nail art idea. Paint all of the nails, except the middle and ring fingers, with two coats of red polish. I used the Shellac color called, Wildfire . Paint the ring fingers with two coats white polish. I used the Shellac color called, Cream Puff . Paint the middle nails with two coats black polish. I used the Shellac color called, Black Pool . When the second coat of black polish is still wet (or not cured yet), sprinkle with fine hematite colored craft glitter. I used Martha Stewart craft glitter , hematite. Note: Once the polish is cured/dry brush off the excess glitter. 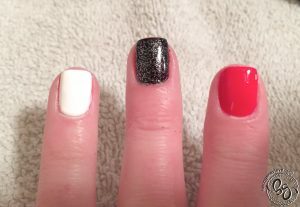 Remove the sticky/tacky residue on top of the white ring finger, if you are doing gel polish. Very Important! 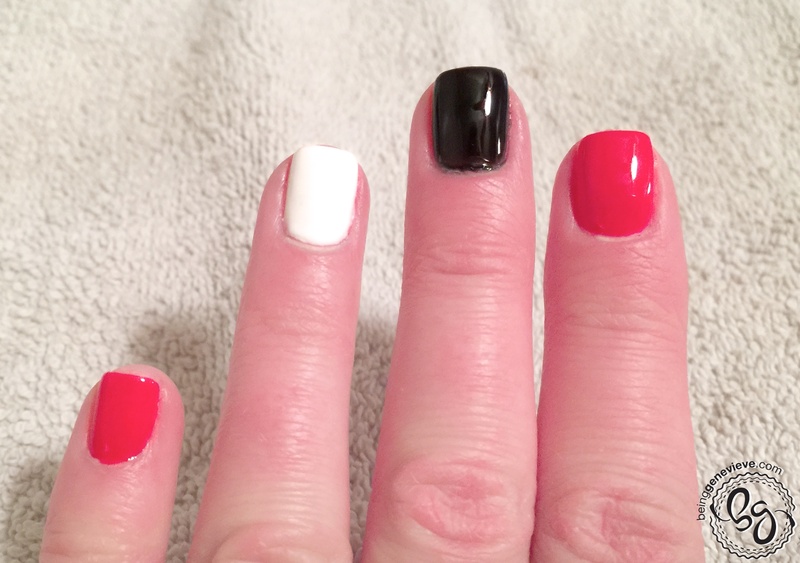 This step can’t be done until the white polish is completely dry and no longer tacky. Or else the glitter you put on Mickey will also stick onto the white, which is not what you want. 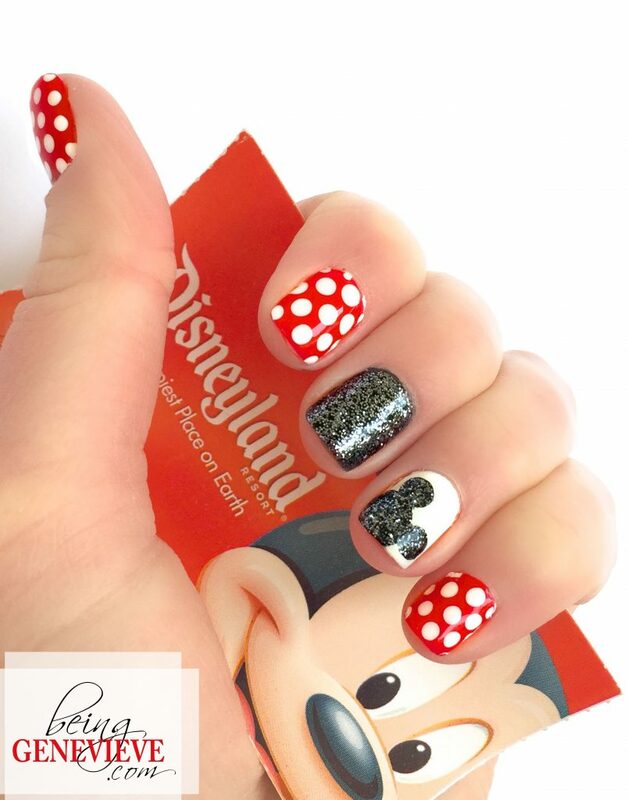 For the white ring finger nails, you will be painting a simple silhouette of Mickey. I used a dotting tool and did one large circle on the inner corner of the nail. I then added two smaller circles, at an angle, for Mickey’s ears, very simple. While the black polish is wet, sprinkle the hematite craft glitter that you used above. Note: Once the polish is cured/dry brush off the excess glitter. 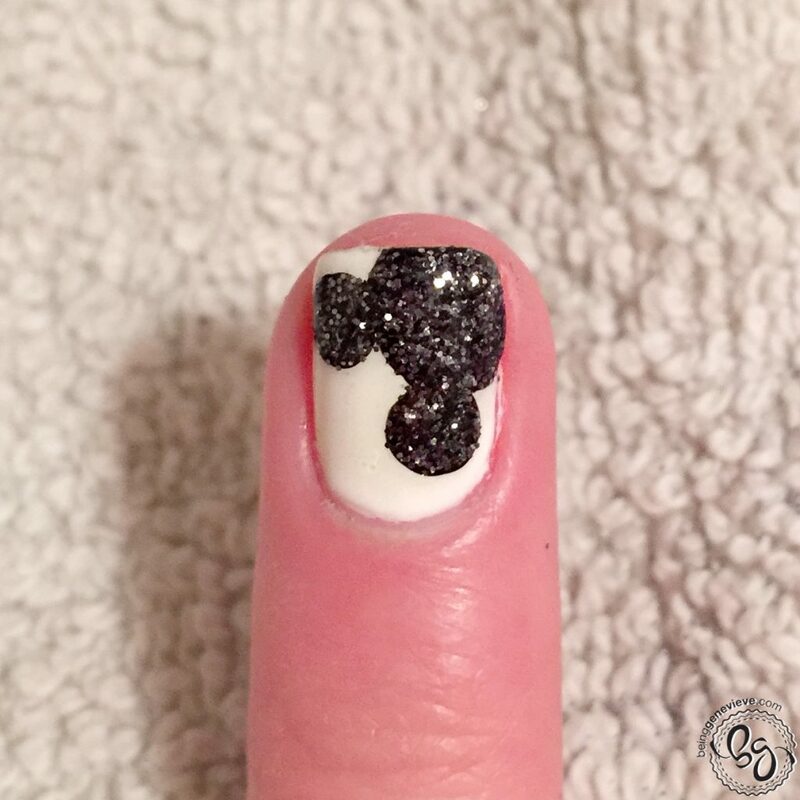 Gel Polish: I used the shellac black polish to paint Mickey. Then sprinkle the glitter and cure 2 minutes in the UV light, or 1 minute in an LED light. Now on my pinky, thumb and index fingers. 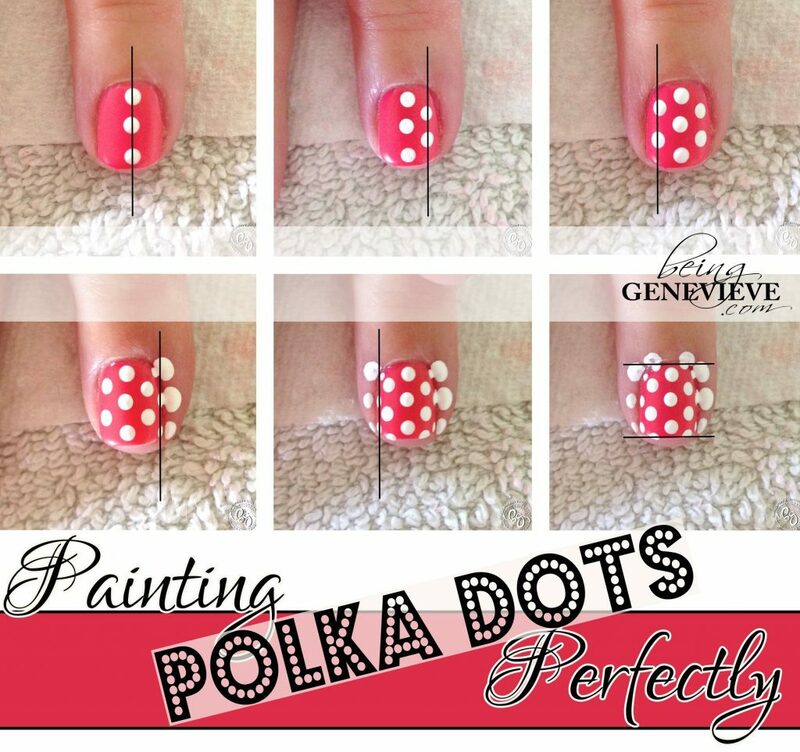 I painted large white polka-dots, similar to the image below, but make the polka dots a little larger. I’m excited to discover this website. I wanted to thank you for ones time due to this wonderful read!! 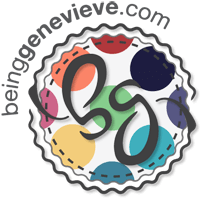 also have you book-marked tto see new things on your blog.